I think you should consider a 3 dog household – remember the benefits of 3? Someone is going to be so lucky . . . Sorry Johnny, you don’t even know me, but I just had to write. Everyday, I open your site to see if you decided to keep Lily. I open to make sure that she is still with you. You are the first website I open in the morning because seeing your pictures (especially of Rufus and Emily) make me so happy. But Lily!!! Ever since she has entered your life, I’m more obsessed than ever! Johnny, you have to keep her! I love the solo shots of Lily, but she with Emily and Rufus!!!! I love their expressions so much! I think it’s fate that brought her to you! I have 2, and I can’t imagine how busy I’ll be with 3, but…oh please, oh please, oh please!!! Please consider making Lily the luckiest girl in the whole world by letting her stay with you and your gang forever!!! I know she will make some family so happy, but Lily will be happiest with you (especially Rufus and Emily!!! OMG, Rufus is so amazingly cute with Lily!). You know that your heart can expand way more for Lily!!! It’s like having an accidental pregnancy (sorry for an inappropriate analogy)! You didn’t plan on it, but when it happens, you can’t be happier! Please be selfish for Rufus and Emily’s sake! And mostly for Lily! 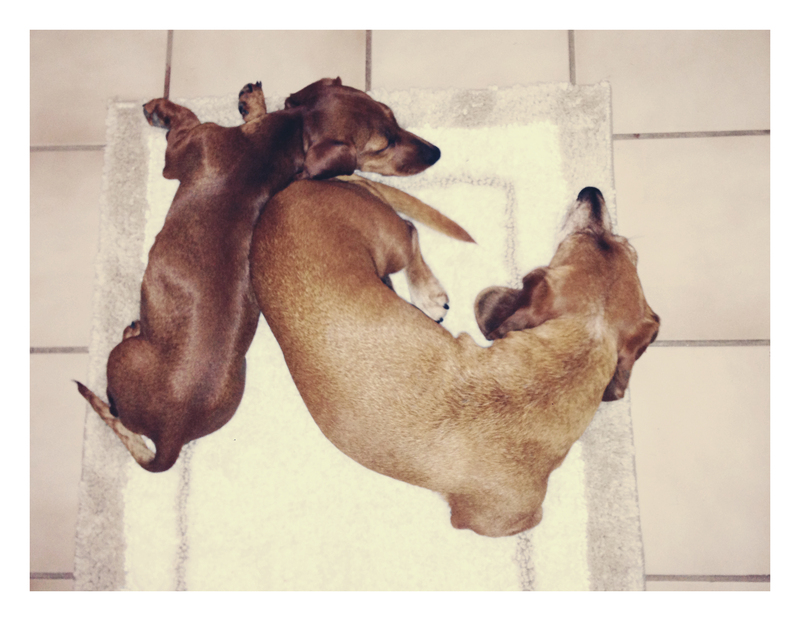 They are so adorable for sure, but no more adorable than my two reds and one brindle. They are ALL so precious and we love them so much. Thank you for doing what is best for this little angel. Good luck on your decision whatever it may be. If I could have another, I’d take her in a minute!!!! 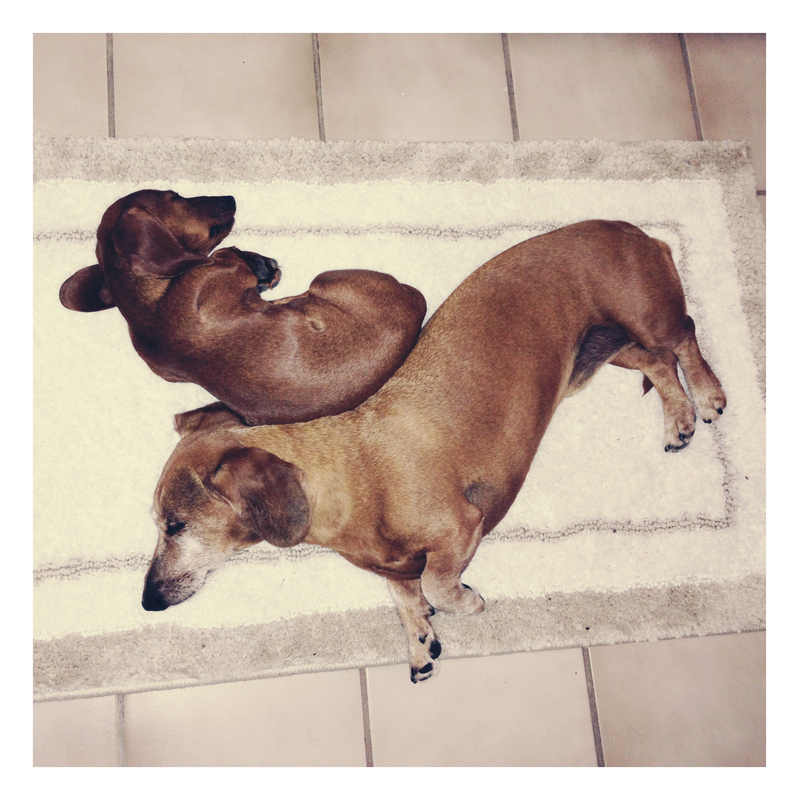 Dachshunds always remind me of movie stars…. in my mind, I see…. and of course my own…. no words for that much cuteness! !